Every classic car enthusiast I know takes a special pride in the vehicles they own. Many have an affinity to particular makes and models. Be it a '66 Mustang, '57 Corvette, or a '62 Bellaire; ther e's a good chance that it is the favorite car in the garage. These vehicles are more than nostalgic forms of transportation. Part collectable, part heirloom, and part time travel machine bridging us to the carefree times of our youth. A good deal of time (and money) is spent on them. These cars matter...and if something happens to them, you expect your insurance policy will make things right. And therein lies the problem: it may not be enough to insure these "works of art" on a standard auto policy. What's the big deal? Your standard auto policy seems to do just fine with your "regular use" vehicles. You may have them insured with an established, well known insurance company; maybe one that advertises on TV and radio all the time. Although these policies don't miss a beat when it comes to coverages like liability, or medical payments...it's the physical damage of your classic car that may be at risk. You see, a standard insurance policy typically insures your vehicle for the "Actual Cash Value" (ACV) of your automobile. Actual Cash Value is defined as: Replacement Cost less Depreciation. So, for example, let's say your regular commuter car; for instance a 2010 Chevy Malibu, is totaled in an accident (you're alright, thank goodness). Is your company going to give you a check to cover the cost of a brand new 2016 Chevy Malibu? No. They're not even going to give you the original sticker price of a 2010 Malibu. They are going to give you the ACV, less your deductible. Most people understand this, because they realize a 2010 Chevy Malibu does, in fact, depreciate. You'd be hard pressed to find anyone who wants to buy it for more than the original sticker price. Fair enough. But what about a 1968 Ford Mustang? According to oldride.com, the original base sticker price for a 2 door coupe was $2,602. Classiccars.com has a list of 1968 Mustangs for sale. Currently, they start at $3,995 and top out at $239,900 (I'm not including the lowest price offering at $1,800, since it didn't include an engine or transmission). So why would you insure a vehicle that is appreciating with an auto policy that is based upon depreciation? Be careful! Some of these standard policies will insure a classic car on a "Stated Amount" basis. That sounds good doesn't it? You call your agent and tell him/her that you want to insure a 1972 Dodge Charger for $30,000. Your agent tells you that it can be insured on your existing standard policy on a "Stated Amount" basis, not Actual Cash Value. Super. No problem. The Dodge Charger is now insured for $30,000...right? Well, maybe...wrong. Here's why. The actual wording of the policy may tell a much different story. In many cases, the maximum amount the company will pay is the LESSOR of the "Actual Cash Value" or the "Stated Amount". I know...go ahead and read that sentence again...it's true. Can you see how this could be a problem? It's very clear that $30,000 may not be the amount received if the company determines ACV is only $15,000. Will that make you happy? I didn't think so. So what can you do to avoid this problem? Make sure your policy is providing "Agreed Amount". This value is confirmed by the company, and you, as being the true value of your car. In the event the vehicle is totaled or stolen, the amount listed will be the amount paid. 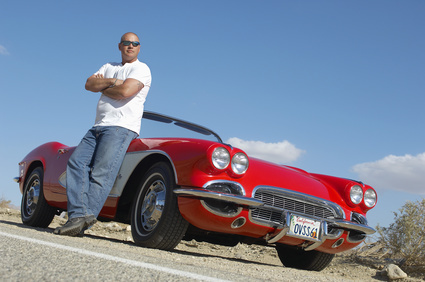 Contact your agent if you have a classic or antique car insured on a standard auto policy. Specifically ask if "Agreed Amount" is offered. If not, request a quote from a specialty carrier like Hagerty Insurance. Many independent insurance agencies represent them (we do). Companies like Hagerty specialize in classic and antique cars. They do have some underwriting requirments which must be met (such as photos, or appraisals for higher valued vehicles), but you'd be surprised how inexpensive they can be (and you don't have to suspend coverage during the winter). This is just another example of how "cheaper" insurance can end up being a very expensive proposition. A quality agent will help you avoid these kinds of costly mistakes and give you the peace of mind you deserve.